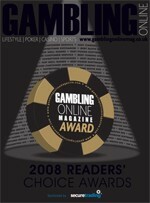 Top Online Casinos 2003 - 2012 - Gambling Online Magazine Awards. 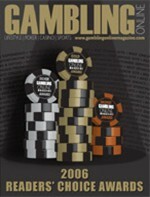 Top Online Casinos By Gambling Online Magazine Readers' Polls 2003 - 2012. 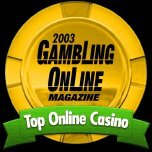 Gambling Online Magazine's (GOM) annual awards are the most recognized and prestigious in the online gambling industry today. For the seventh year 50,000 GOM readers voted for their best choice of gaming sites in over 20 different categories from "Best Online Casino" to "Top Poker Customer Service". 2 to 5 Winners are awarded in each of the individual online gaming categories annually. "Its really our readers that decide the winners. There is no other set of online gambling awards judged by such a large number of gamblers." told GOM editor Michael Caselli. Click on the image below to see the results of the GOM readers' polls and award-winning websites for the corresponding year. 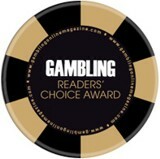 We have summarized Gambling Online Magazine readers' polls 2003 - 2012, Casino Player Awards, Strictly Slots Magazine and Casinomeister "Top Picks" for best of the best in the online gambling industry and present you the following award-winning online casinos and poker rooms. Play at the most trusted and recognized gambling destinations, enjoy secure and reliable gaming experience.